October 18 - As part of his endorsement deal with the fast food chain and a partnership with his father’s foundation, Baseball Hall of Famer Cal Ripken Jr. will make an appearance at the Roy Rogers in Leesburg on Oct. 29. Tickets will be handed out beginning at 10 a.m., and four raffles will be conducted for 100 guests who will win the opportunity to meet the player affectionately known as the Iron Man. The raffles will be held at 12:30 p.m. and then at 1:30 p.m., 2:30 p.m. and 3:30 p.m. 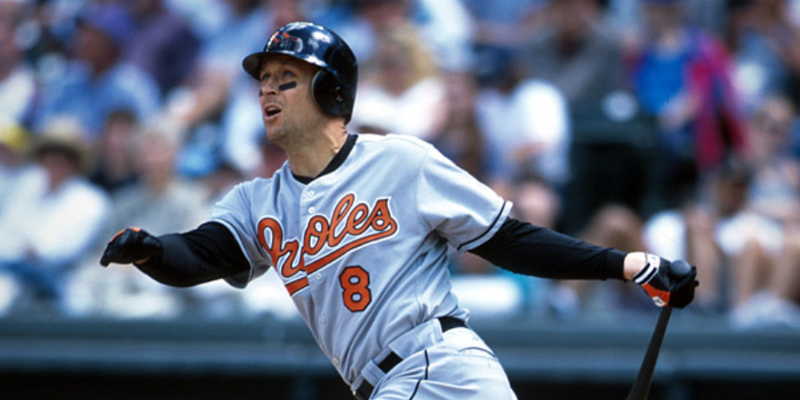 Guests unable to meet Ripken will be entered to win signed memorabilia after his appearance. Ripken’s appearance will run from 4:30 p.m. to 6 p.m., joining the Roy Rogers team behind the counter and joining attending children for baseball activities outside the restaurant, which is located at 540 East Market St.
During his 21-year career spent with the Baltimore Orioles, Ripken set a Major League record by playing in 2,632 consecutive games. A 19-time All-Star and two-time American League MVP, he finished his career with 3,184 hits, 431 home runs and 1,695 RBI and was inducted into the Baseball Hall of Fame in 2007.